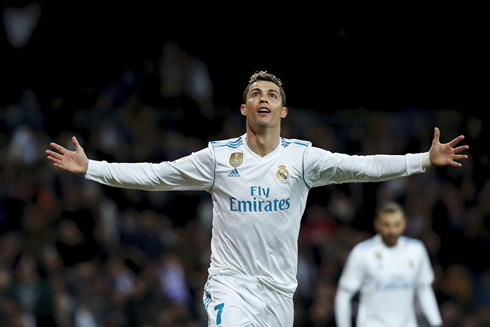 Real Madrid crushed Real Sociedad at the Santiago Bernabéu this Saturday night, in a 5-2 win fueled by a Cristiano Ronaldo hat-trick. The Portuguese star reached his 11th goal in the league this season and saw Toni Kroos and Lucas Vázquez scoring a goal each as well. With the PSG game right around the corner, Zinedine Zidane rotated a few players in his squad ahead of tonight's game against Real Sociedad. Fortunately, the Merengues responded well and beat Real Sociedad 5-2 in a comfortable win tonight at the Bernabéu. 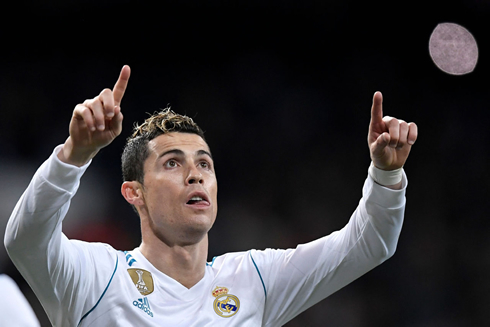 The headlines go straight to Cristiano Ronaldo, who scored his first hat-trick of the season and showed he's ready for the upcoming PSG challenge in the UEFA Champions League. 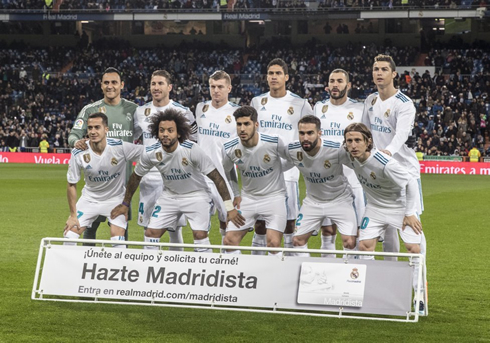 Besides Ronaldo, Toni Kroos and Lucas Vázquez also wrote their names in the scoresheet and helped the reigning European champions regaining the 3rd place in La Liga. Today, however, could hardly have been a better warm up to the high profile match against PSG coming up next week. It still wasn't perfect and the defensive effort will have to improve ten-fold against a lineup of Neymar, Cavani, and Mbappé, the most lethal force in Europe at the moment, but it was good to see some more goals and of course a Ronaldo hattrick. The goals came thick and fast in the opening half. Vasquez, Kroos and a Ronaldo double put Sociedad down 4-0 before the 40-minute mark. It was similar to the Sevilla match earlier in the season and it was a rare treat for a Bernabéu crowd that's been ravenous for goals this year. The match would finish 5-2, as Madrid took their foot off the pedal in the second half. 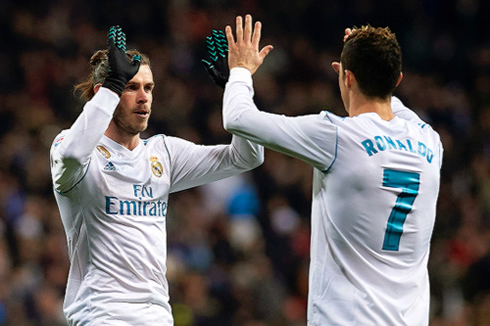 However, Ronaldo was able to pounce on a mishandled Gareth Bale shot to complete his first hattrick in La Liga this season. Seems like CR7 is hearing the Champions League anthem beckoning. It was an interesting lineup from the under-fire Zidane today. Part protection of certain players ahead of what's surely a season-defining game, and part rotation, but we saw Marco Asensio in an attacking midfield position and he flourished in the role, something interesting to look at going forward. In the end, good win and now the team must prepare for a massive match. Despite the changes today, we'll likely see the typical 4-3-3 lineup in that match with Nacho deputizing for the suspended Carvajal. Cristiano Ronaldo next game for Real Madrid is on February 14 of 2018 against PSG. You can watch Juventus live stream, Real Madrid vs PSG, Barcelona vs Getafe, Newcastle vs Manchester United, Southampton vs Liverpool, and Huddersfield Town vs AFC Bournemouth, all matches provided from our football and soccer game pages.